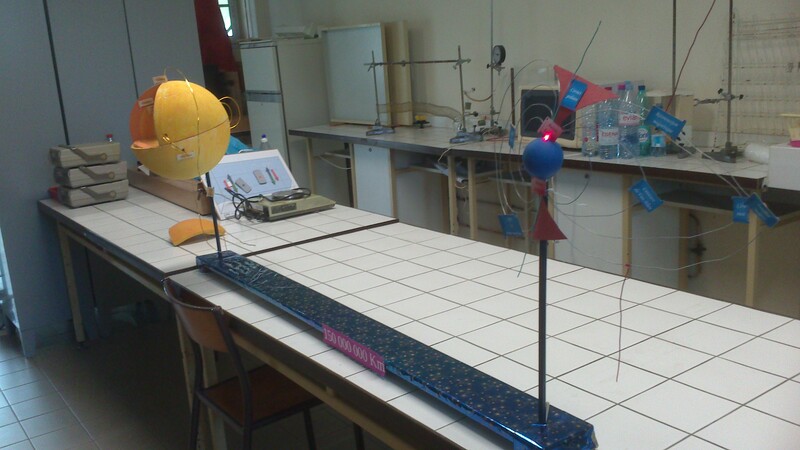 The Olympics of Physics (France) is an experimental science competition mainly on physics for teams of two to six students supervised by one or two teacher (s). Philippe Jeanjacquot, professor of physics at school Chaplin in Décine (Rhône) participates regularly. In 1999, while teaching at high school Pierre Brossolette in Villeurbanne, his students and him mounted a Terrella for the Olympics. I had the chance to visit them to explain the physics. They won the silver medal. 10 years later, with three students, Arthur Aberkane Martin Borrel and Mayor Jeremy, he improved his device. His enthusiasm led him to be awarded a scholarship contest C-genial and take a dozen of his scholars to Lapland, during one of my experimental campaigns. Advised Personal Works (TPE) aim to diversify the modes of appropriation of program content by building on an interdisciplinary approach. They also aim to develop in students the capacity for autonomy and initiative in research and exploitation of documents for the implementation of a production that is the subject of a written and oral summary. 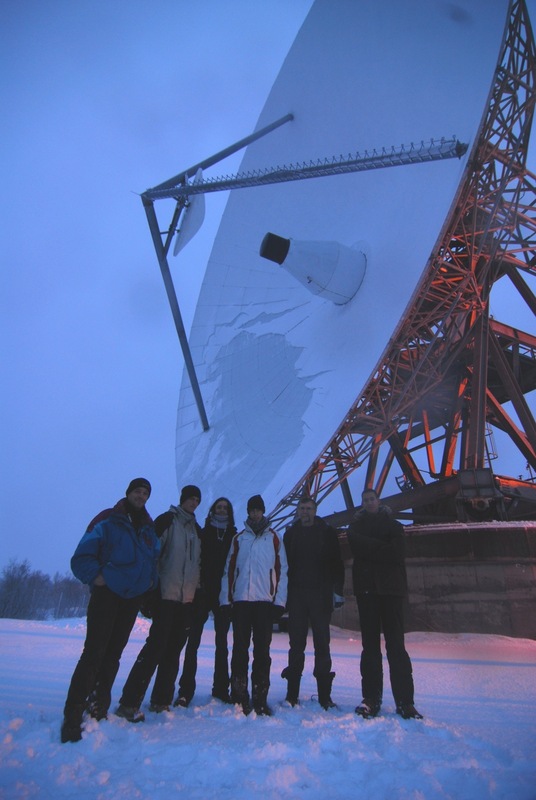 Each year, three or four groups of students contact us at IPAG Planeterrella to see the Planeterrella and work on the polar lights. Hereafter are some of their work. Three outstanding students who have made the effort to come several times in the laboratory, carefully preparing each visit by readings, film screenings, discussions with their teachers. No wonder they have had 20/20 (the best grade in France) ... They have generously agreed to provide their report and defense. 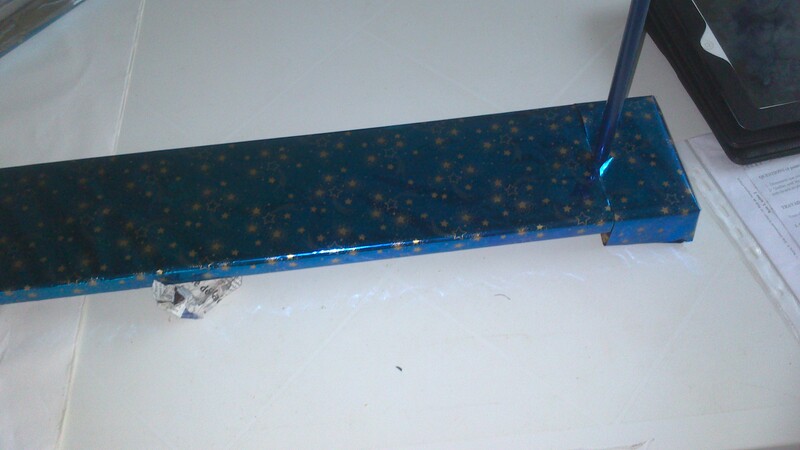 It was not possible to come to the metropole to see the Planeterrella. 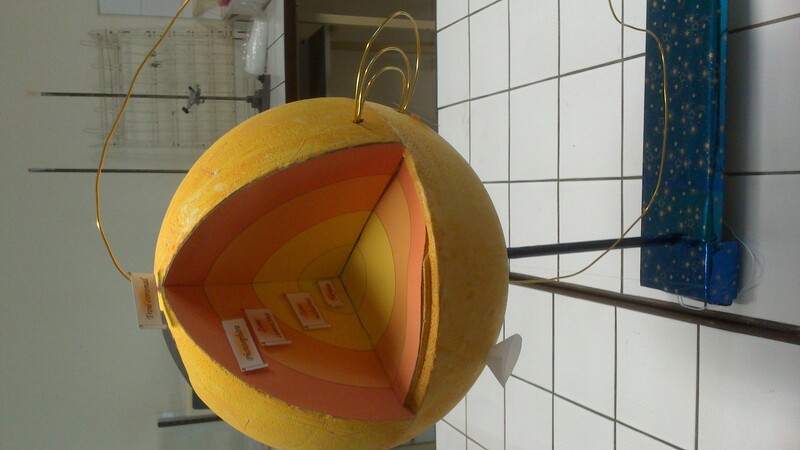 Therefore, these students worked over the phone, and had the wonderful idea of ​​making models of the Sun and the Earth, with their space environments. So very clever, they chose to simulate an aurora through a small LED surrounded by a small piece of tracing paper and powered by a battery watch (with the switch hidden under the board). When originality doubles with a high scientific quality and humor: a perfect TPE, which earned 19/20 to its authors. Many things were invented or retouched to the delight of the authors and their jury, for more realism (names, photos, poster for a festival of astronomy ...). Two students in high school Les Iris in the city of Lormont (Academy of Bordeaux, 33) had for their TPE, the original idea of creating a newspaper. They kindly agreed to show it on this website. I hope that you will enjoy to read POLARIS, totally written with humor and dynamism by Marie Jouffre and Maëva Minoue. 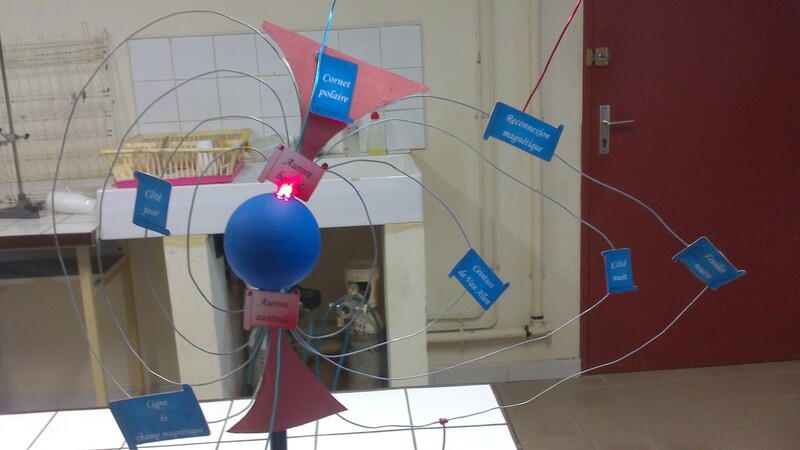 ROBY Jessy, GUERRIER Leah, ABDELHAMID Janna worked in Montpellier on the "transformation of matter" and were interested in the aurora. I was convinced by their willingness to understand. Their production demonstrates a thorough and serious work. Congratulations!